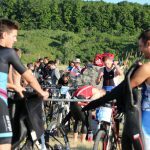 Home » News » Canadian Cross Triathlon Championships Return to the Quarry! 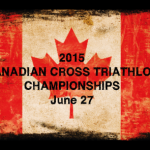 Once again, XTERRA ‘Mine’ Over Matter will play host to the 2015 Canadian Cross Triathlon Championships with June 27th 2015 at the Kelso Conservation Area in Milton Ontario Canada. This will be the third year in a row that this race has been honored with the privilege to host this adrenaline rich event. Once again, there will be 10 spots per 5 year age groups to represent Canada at the 2016 ITU World Cross Triathlon Championships. With 2015 being a major sporting year in the Greater Toronto Area highlighted by the arrival of the Pan American (Am) Games, hosting the Canadian Championships ahead of such a major sporting event is just the ticket to launch a sporting fans dream summer. Also new to the are will be Ontario’s first full Ironman event in the legendary Muskoka landscape. Its a fantastic year to live in Ontario! New! Gift a registration option!